Pamper yourselves with an all-inclusive romantic honeymoon getaway in a lakeside fireplace cabin. Whether it’s your first or your fiftieth, celebrate your years together with this inclusive package. 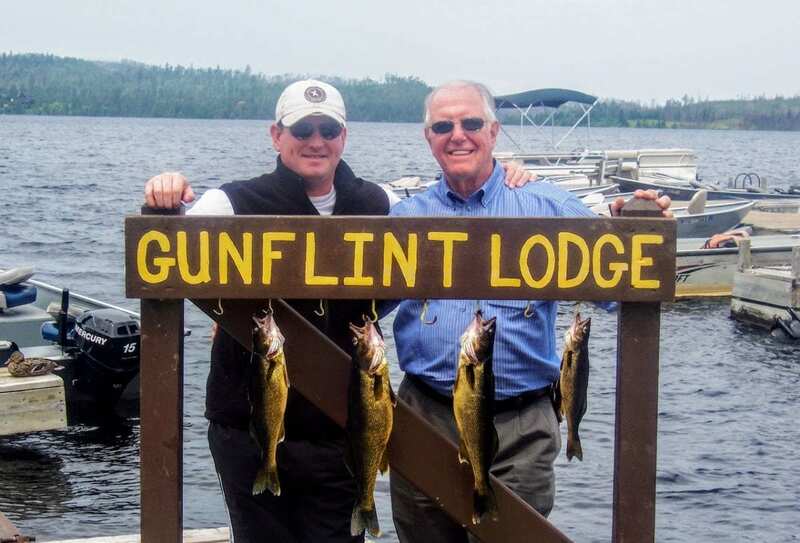 With activities for all ages and interests, Gunflint Lodge is the perfect place to spend together with your family any time of year. 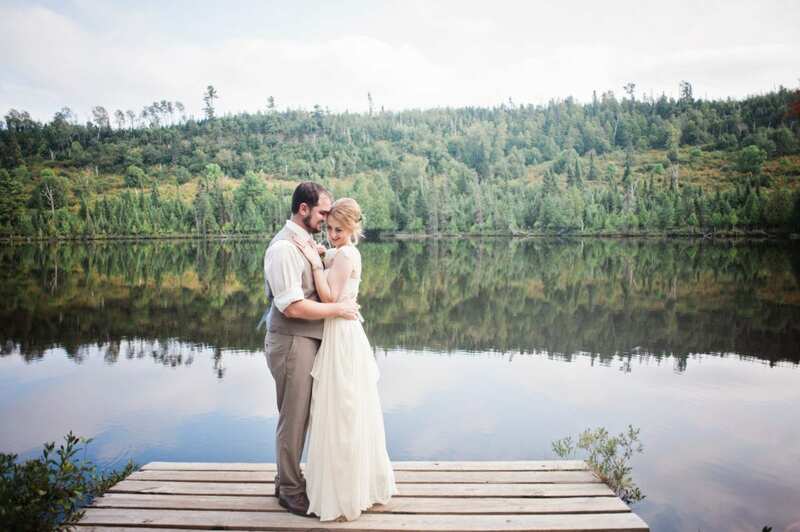 Gunflint Lodge & Outfitters is a classic resort nestled into the heavy forest on the south shore of Gunflint Lake. Lakeside fireplace cabins, ranging in size from one to five bedroom are scattered along the shore adjacent to the main lodge where the registration and dining room is located. The cabins are very nice and comfortable, having a fireplace in the living room, nice sleeping queen and king sized beds, full kitchens, private saunas, and many have a washer/dryer and a spa tub. Meals in the dining room start at 7 a.m. in the summer and 8 a.m. in the winter. Full breakfast choices are offered until 11:00 a.m. and then at 11:30 a.m., the menu moves on to a full bistro menu of big hamburgers, deli style sandwiches, fresh salads, chowders, soups, appetizers and desserts which are offered all day until we close (summer 10 p.m. & winter 9 p.m.). Starting at 5:30 p.m. each evening, we also offer 6 full dinner entrees to choose from until 8:30 p.m. in the summer months and 7:45 p.m. in the winter. Wine, beer and cocktails are also available. Activities range from the kids feeding corn to the ducks at the sand beach to guided fishing trips for nice catches of walleye, lake trout, smallmouth bass and northern pike. Then there are over 25 weekly Naturalist Adventure programs offered, horseback rides, hiking trails, and trips on the Towering Pines Canopy Tour. Winter activities include cross country skiing, snowshoeing, dog sledding, and snowmobiling. Our massage therapist offers Swedish Massages, Thai Massages, Deep Tissue Massages, and Oncology Massages It would be our pleasure to welcome you and your family to our resort, which we hope will become your new “home in the woods”. We invite you to relax in one of our lakeside fireplace cabins, feast in our dining rooms, and play in our outdoors. A vacation to the Gunflint highlands of northern Minnesota is unique. The area is remote and pristine, where we have more wildlife (deer, moose, eagles, beaver, etc.) than people. Our northwoods, just 5 hours north of the Twin Cities, continues to exist in a time of urban sprawl and expanding suburbs. Words alone cannot do it justice and the only way to understand the Gunflint area is by experiencing it first hand. Here at Gunflint moose encounters and deer sightings are more common than a visit by your neighbors. Our outfitting department, Gunflint Northwoods Outfitters, provides full outfitting services for canoe trips into the Boundary Waters Canoe Area Wilderness and the Canadian Quetico Provincial Park. Check out what we have coming up soon. Honeymoons, Elopements, Weddings and Couples Weekends. Pick your fish and your season: Walleye, Lake Trout, Smallmouth Bass and Northern.